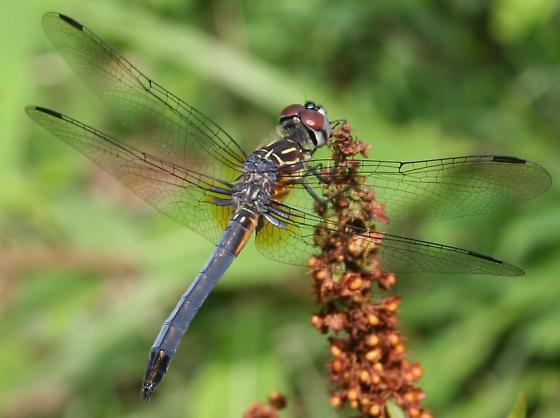 Blue Dasher Pachydiplax longipennis (Burmeister, 1839) Synonyms: Blue Pirate. 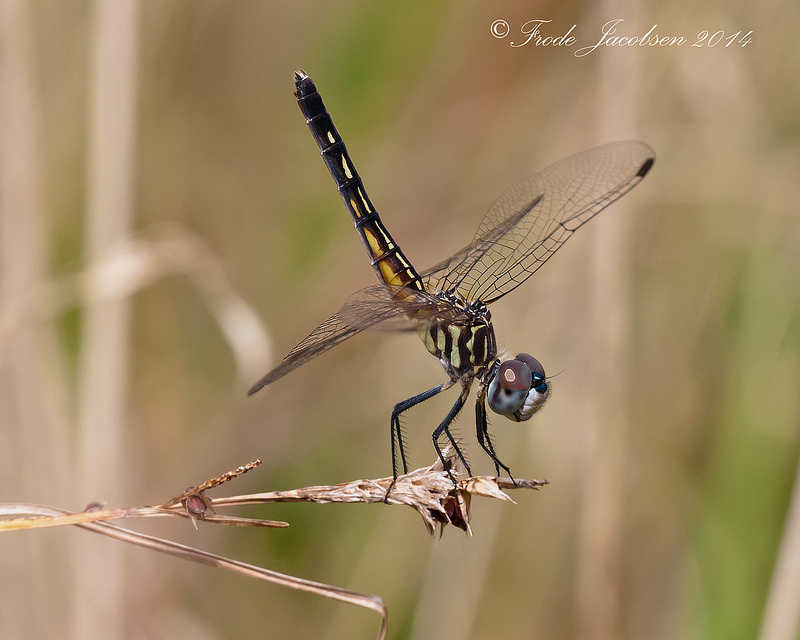 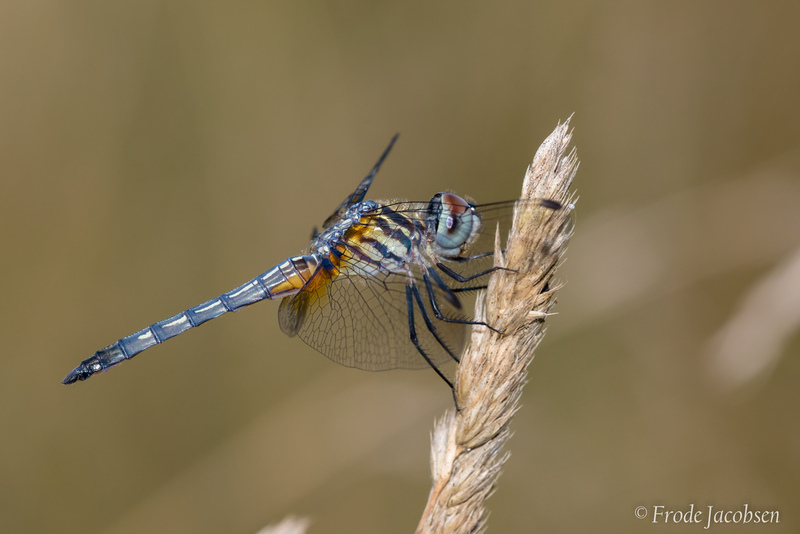 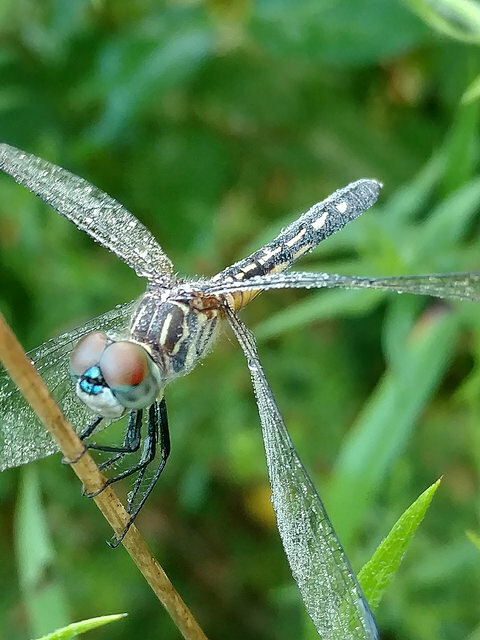 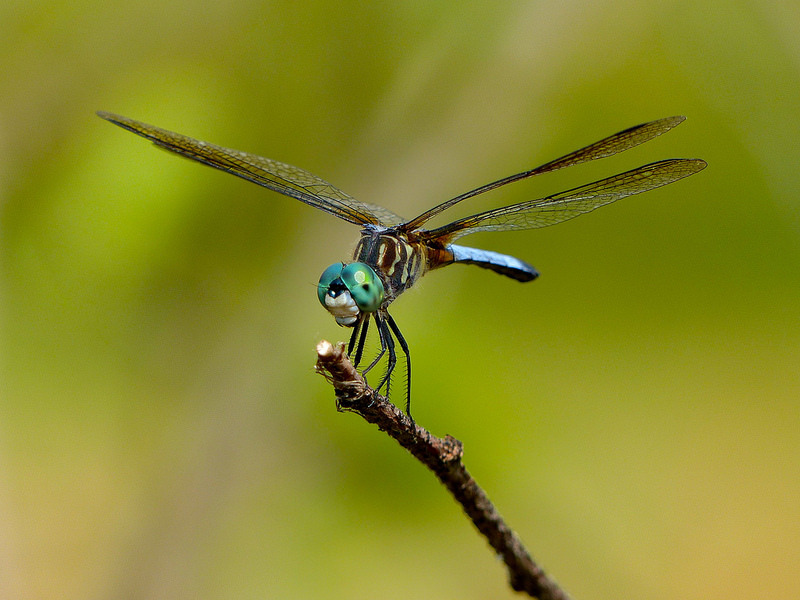 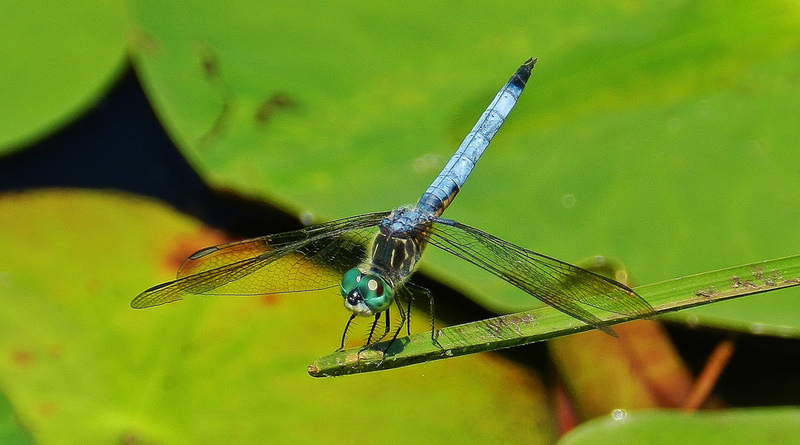 Blue Dasher (Pachydiplax longipennis) is a frequently abundant small libellulid of vegetated ponds, lakes, and marshes, or even slow-flowing creeks or rivers with some vegetation present. 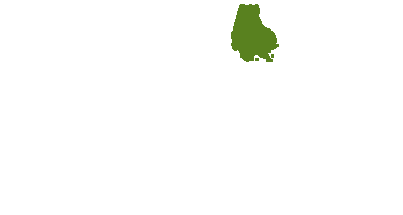 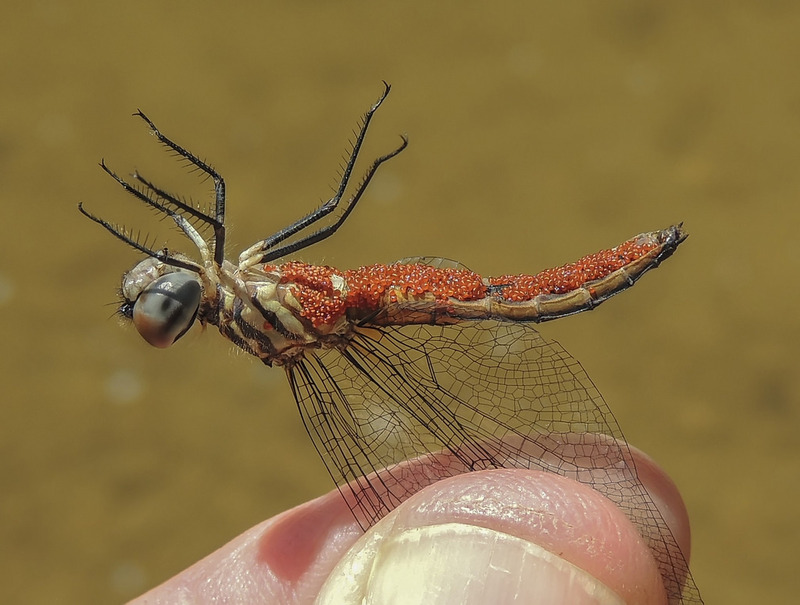 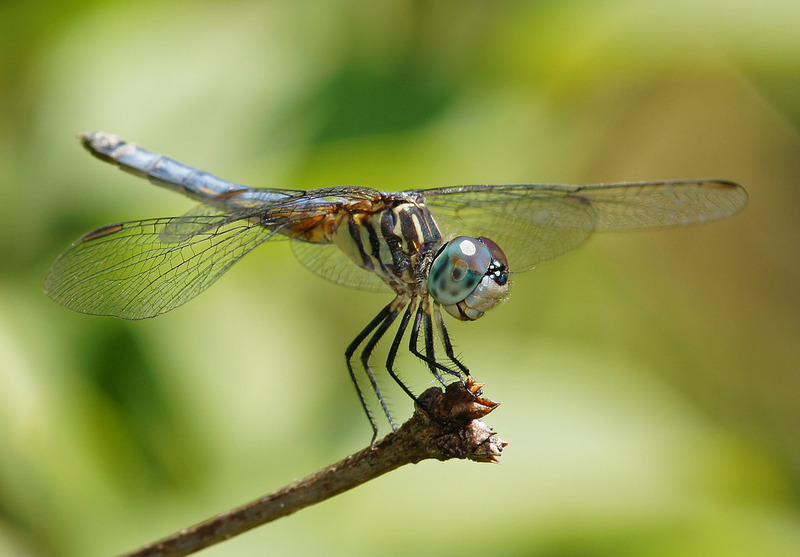 It often perches on plants or branches in fields or in forest openings to hunt small flying insects (Paulson, 2011). 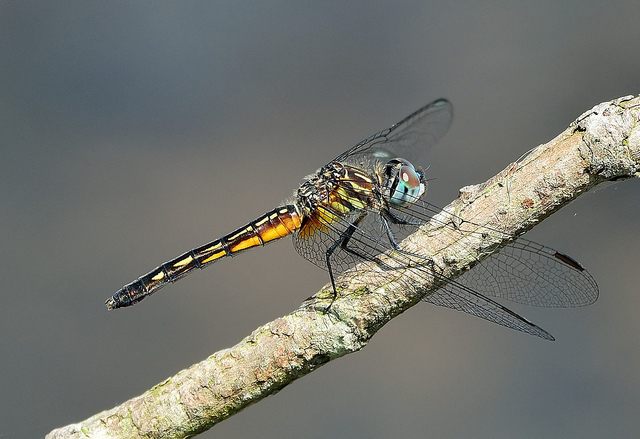 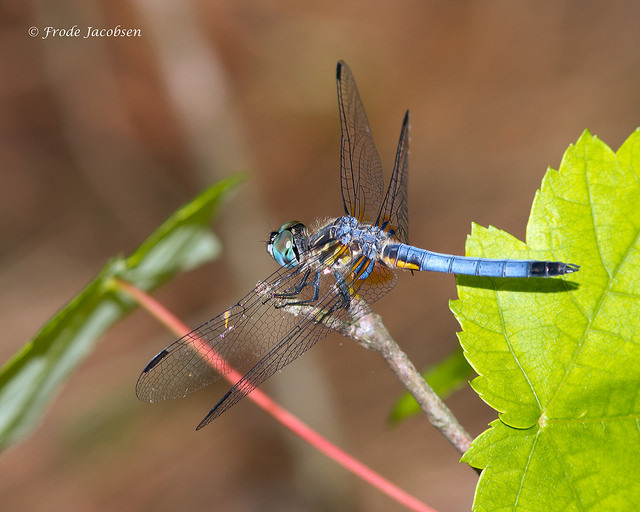 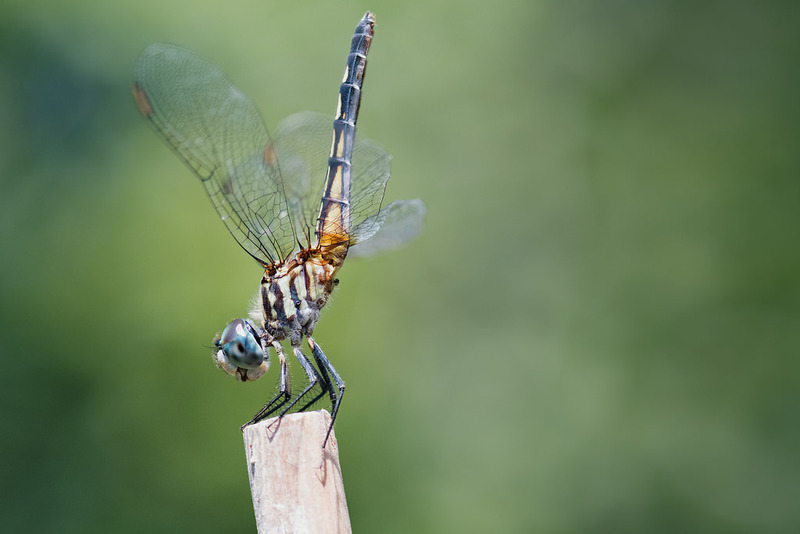 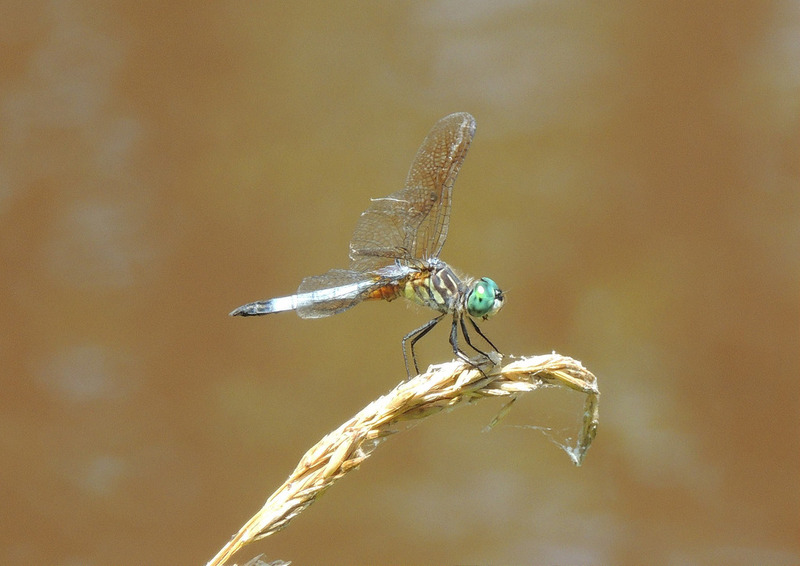 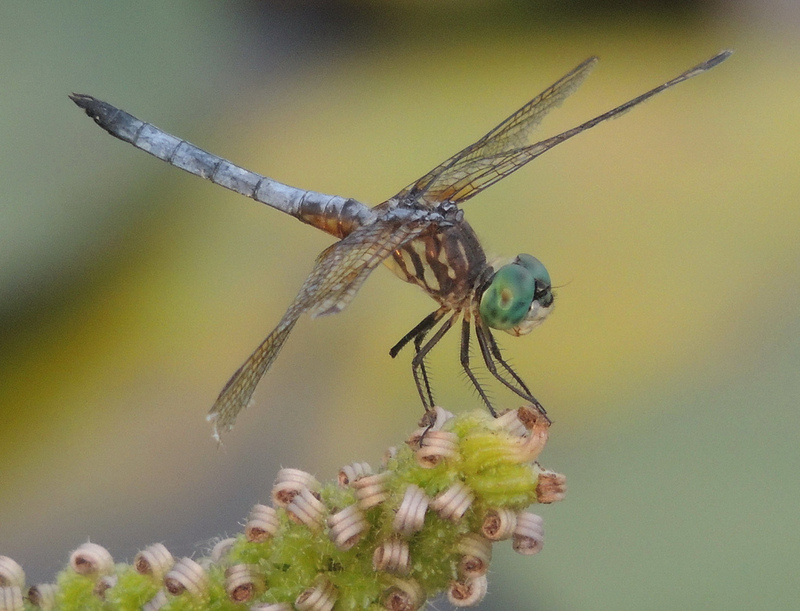 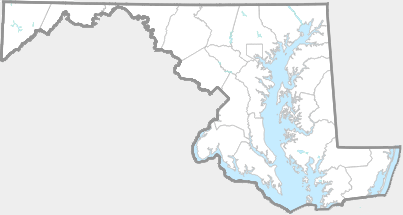 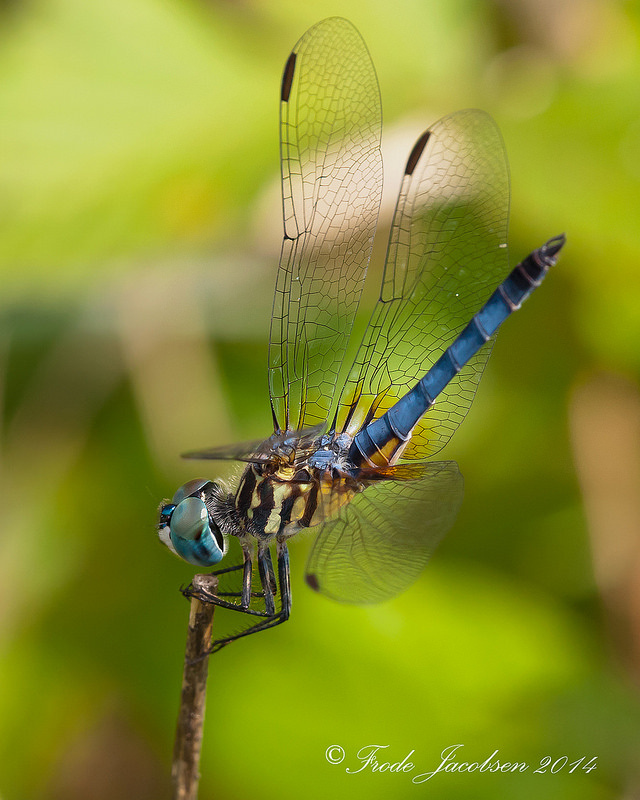 Blue Dasher ranges through Maryland, and has been recorded from every county (Richard Orr's The Dragonflies and Damselflies of Maryland and the District of Columbia). 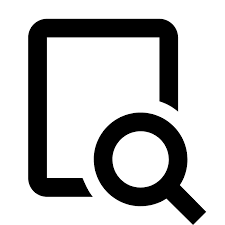 There are 1,716 records in the project database.